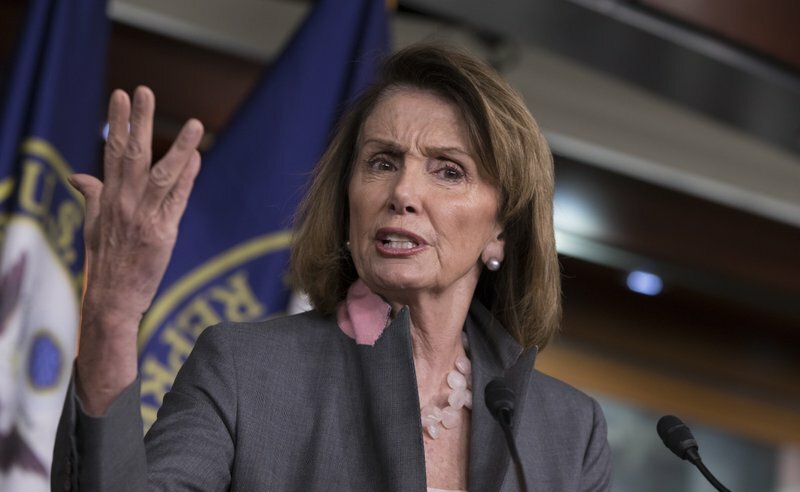 House Minority Leader Nancy Pelosi said Friday she must retain her leadership position in Congress so there is a woman at the table when key decisions are made. Pelosi said in an interview on ABC’s “The View” that she was ready to leave had Hillary Clinton become president, putting a woman at the top. But Clinton lost, and so she must remain, Pelosi said, as she recounted a White House dinner last month where she was the only woman at the table. “And that’s why I have to stay there, to be one of the top women, top people at the table,” said Pelosi, 77, adding that she views one of her mandates as protecting former President Barack Obama’s Affordable Care Act, which she was instrumental in passing as House speaker at the time. “I was ready to go if Hillary won, have a woman at the top of the table, protecting the Affordable Care Act, which is to me similar to Social Security, Medicare, Medicaid,” Pelosi said. Keeping Nancy Pelosi as Minority Leader because she is a woman is fallacious as was nominating Hillary Clinton because she is a woman. People must be judged for their qualifications and record beyond their gender. Would a party leader in any parliamentary system in other countries maintain her position after so many losses? If female leadership is needed, I can think of another female member of the House to consider–Tulsi Gabbard (although there might be better positions for her than House Minority Leader).